If you’ve ever had trouble really growing, or had trouble maintaining your hard-earned size, CytoGainer™ product was designed specifically for you. CytoGainer delivers large portions of protein and carbohydrates, without the fat and sugar. With no added simple sugars, no fructose, and no sucrose, CytoGainer’s highly complex maltodextrins are specifically designed to give you a rapid infusion of nutrients to help kick start the critical recovery process. CytoGainer will help replenish muscle and liver glycogen after muscle-thrashing workouts so you can pack on lean mass! Preserve and Boost: 2 grams of L-Glutamine to help preserve muscle tissue and boost immunity. 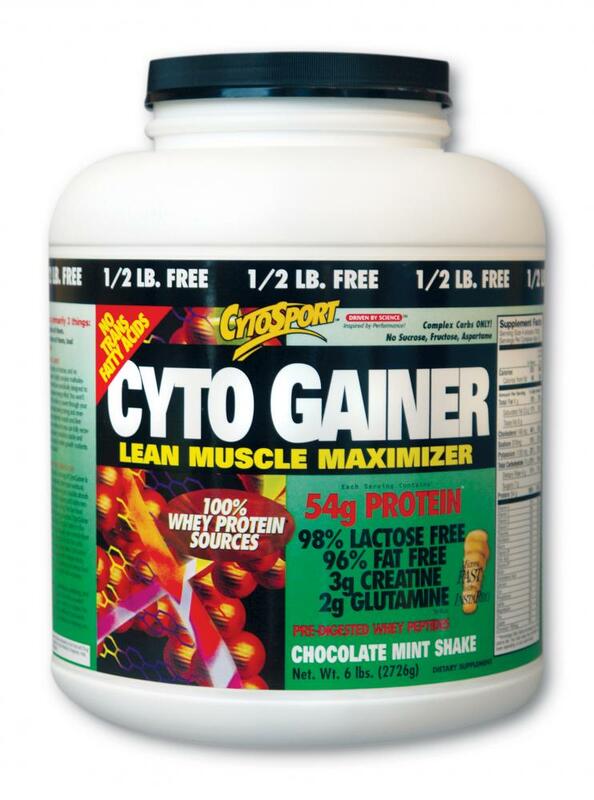 Buy CytoGAINER LEAN MUSCLE MAXIMIZER PROTEIN DRINK Now!